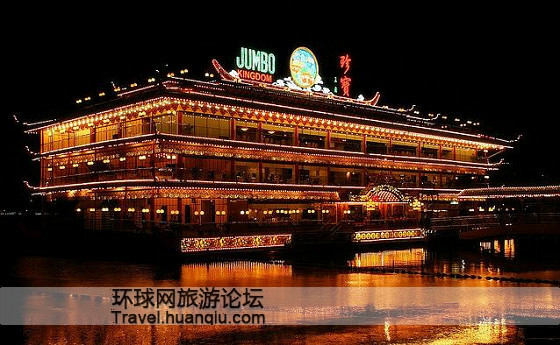 The magnificent Jumbo Kingdom in the night. Jumbo Kingdom in Manila features both dazzling scenery and delicious food. The world-renowned seafood restaurant also has a floating establishment in the Aberdeen Typhoon Shelters in Hong Kong.